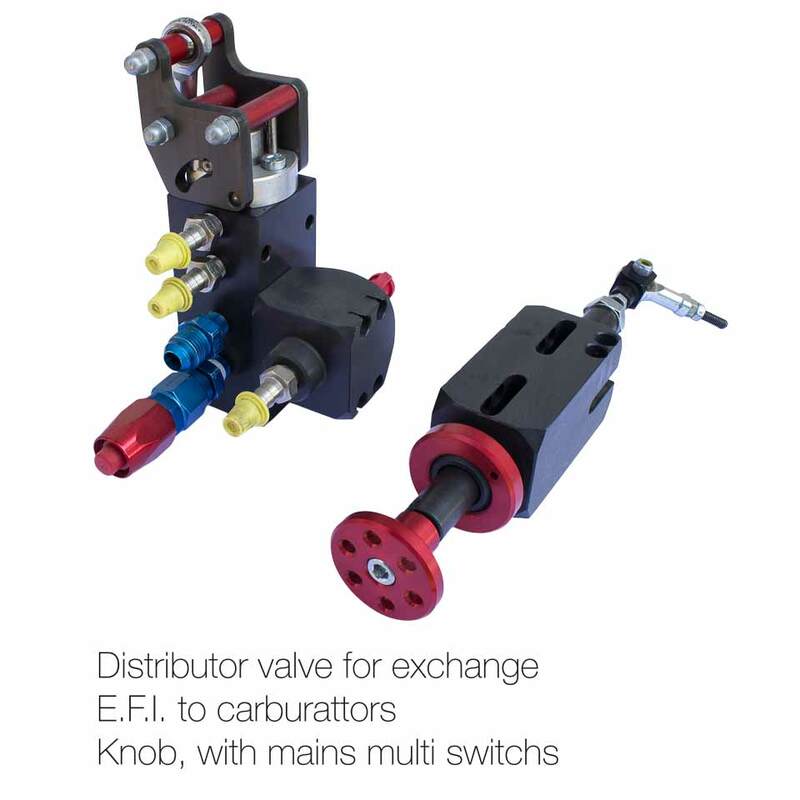 We are pleased to present the FLYGAS PATENTED KIT , ideal solution for boosting the ROTAX engine of the ULM ultra light airplanes offering electronic injection system as to improve engine capabilities and to reduce operational costs. This system has been specially designed and calibrated and is complete with all accessories needed for assembly. FLYGAS PATENTED KIT is the result of intense research and precision drawings and calculations. 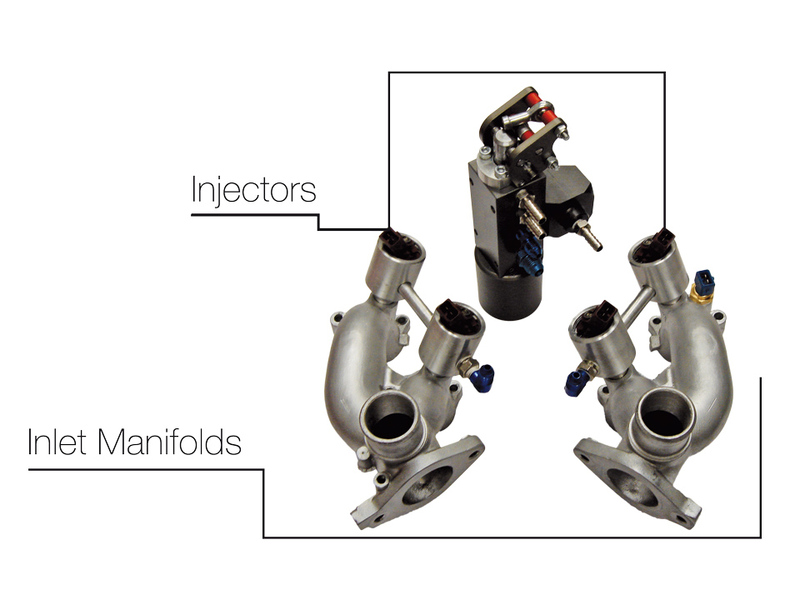 We apply electronic injection as parallel fuel feeding system to the carburettor. The electronic control unit, the pipes, valves, and air intakes undergo efficiency tests and destructive tests to check their performance and reliability. FLYGAS PATENTED KIT is the result of intense research and precision drawings and calculations. 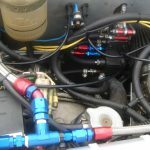 We apply electronic injection as parallel fuel feeding system to the carburettor. 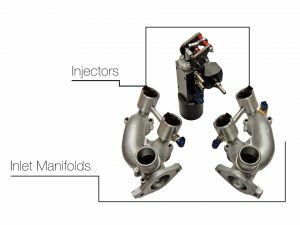 The electronic control unit, the pipes, valves, and air intakes undergo efficiency tests and destructive tests to check their performance and reliability. The kit is customized according to the specific characteristics and needs of the ULM engine and air intake, and is completely calibrated for dosage of the air-fuel mixture under all power delivery conditions. Price competitive and reliable solution to booth performances and reduce costs! FLYGAS supplies a product that responds perfectly to the needs of the most demanding customer. The electronic fuel injection system activated by the FLYGAS PATENTED KIT stands as a parallel unit to the carburetor. 3. No ice forming in the intake manifold. 5. Absence of vibration regardless of the difference in the opening of carburetor. 6. Possibility of continuing to fly (to 50% of power) even in the case of breakage of a wire command of a carburetor. *Possibility to supply fully redundant E.F.I. without carburattors. Probes “k” to see exhaust temperatures.